September means back-to-school activities are in full swing. 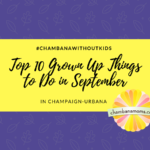 Make sure to take a break from the hectic schedule and enjoy some local events geared towards grownups! 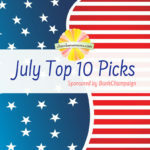 July is jam-packed with family fun — check out our top 10 picks for Champaign-Urbana area fun this month, thanks to BankChampaign.